If you are a fan of fantasy slots, the Heroic Eye of The Dragon slot will certainly appeal to you. This slot will set you off on an epic adventure to find treasure that will make your fortune. Heroic: Eye Of The Dragon has been developed by Nektan Gaming, a game developer that is based out of Gibraltar. As you can expect with a Nektan game, there are plenty of interesting graphics playing out on the reels, together with the few bonus features that you can enjoy enough to have a good time. Heroic: Eye Of The Dragon has 5 reels, 3 rows and 20 paylines. The slot game has the look and feel of the Lord of the Rings. Just like the Eye of Sauron, you have the Eye of the Dragon watching your every move while you are playing this slot game. 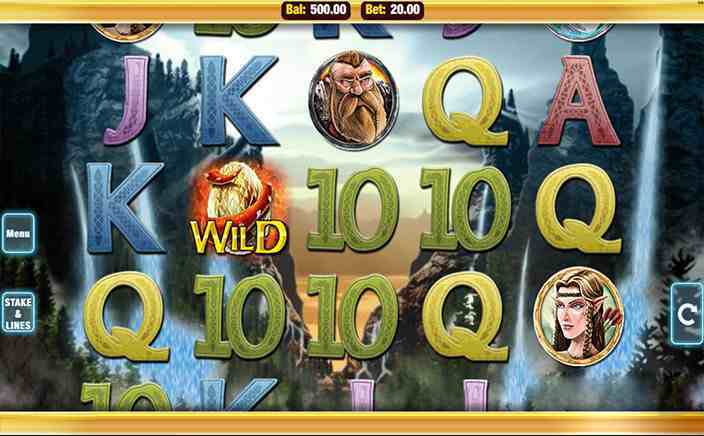 There are witches and wizards and elves as reel symbols who will help you find your treasure as you make your way through this adventure slot. You can then start playing by placing a bet on a spin and then start spinning the reels to make some good cash payouts. The Stake and Lines button lets you do that and you can also choose to use the Autospin option if you want it to keep spinning for the same wager. Wild Substitutions: The wild symbol in Heroic: Eye Of The Dragon is the game logo and you can use it to complete a payline by swapping for other symbols on there. Free spins: The dragon head symbols are the scatter symbols in the game. If you get at least three of these symbols you can enter the free spins round of the game. 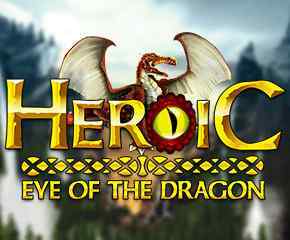 Heroic: Eye Of The Dragon is a game that is a pleasure to play on the mobile phone because of the way it has been excellently designed by Nektan. It is a game that all fantasy fiction lovers will enjoy playing, especially considering the way the characters appear on the reels and the fun that it offers as a result. Finally, the game’s sole bonus feature is the free spins feature, so there is not much by way of exciting features to look forward to. But if you are happy enough playing for high value symbols in a payline and do not mind waiting for the opportunities to trigger some free spins, then this game is definitely one that you should try your hand at.